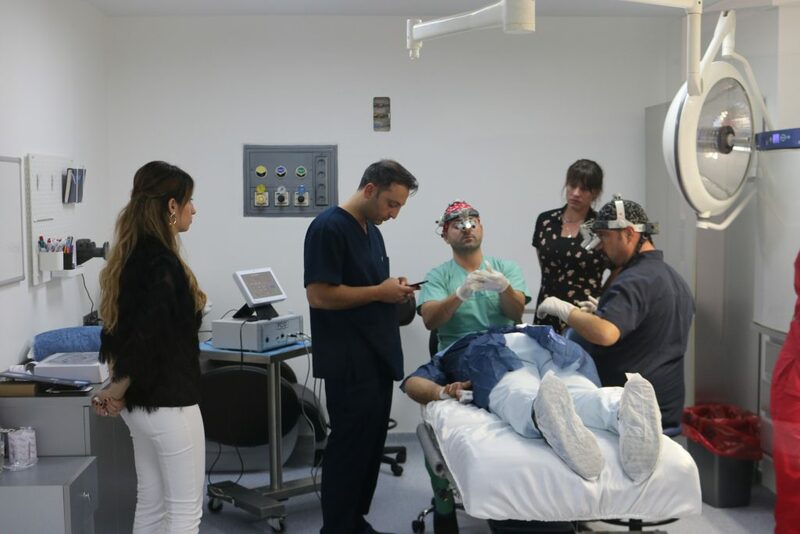 In October we had the pleasure to welcome the brothers Dr. Bargello and Dr. Bargello to our Hair Transplant Training Center. Both are the owners of the successful BB Aesthetic and known as the Lipgurus of Germany. They have taken the 6-day extensive course and treated two patients. As always we have started to show and teach the importance of good consultation. They both began right away calculating the grafts needed and learned the importance of conducting a proper donor area analyze. With our instructions, they have drawn a natural hairline for the first patient. We also spend time showing how to use the 6 x magnification loupe, which is vital in our hair transplant procedures. They have quickly picked this up, which normally takes more time. After the consultation we have started to show the extraction of grafts, in how to extract the grafts in the most proper way with low transaction rate, holding the extraction device in the right angle, using the best punch for each type of graft. They both had the feeling of extracting the grafts very early. 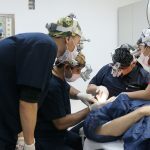 After the extraction session, we continued our hair transplant training course with the implantation session. They both have been showed to make the incisions and both have put the grafts in the incision. While being shown to put the grafts in the angle of the natural grafts of the patient. Very fast they were able to perform on their own. While trying to extract and implant they have asked a lot and gained a lot of information. At their second patient, we didn’t have to interfere at all. We were only there to instruct if necessary. Besides performing effectively and in a proper way the brothers Dr. Bargello & Dr. Bargello were always taking the time to talk to their patient and try to comfort the patients, which is also of high importance. 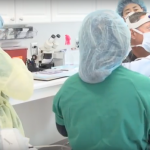 The HTTC Training Center and HLC Clinic will continue to train surgeons from all around the world. 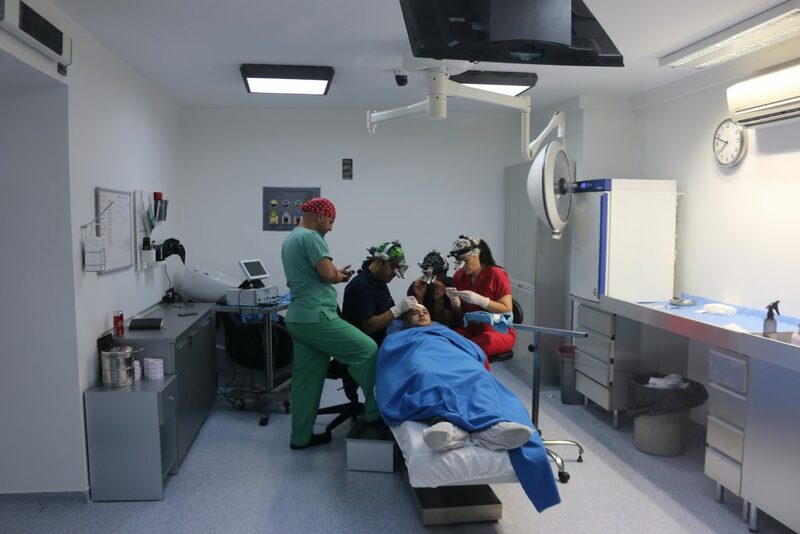 Our mission is to bring FUE Hair Transplant to a high and effective level so all patients can profit from a properly trained surgeon. 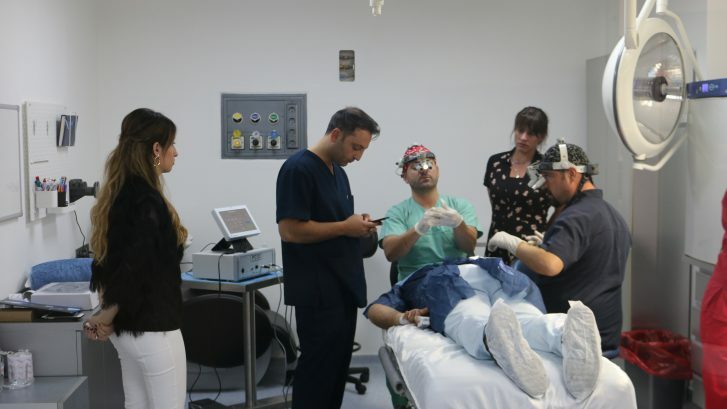 A qualified FUE surgeon should know the advantages disadvantages of the different techniques and use the right techniques, the right tools and perform with a sufficient trained team to achieve high-quality results.